Broadwell all-rounder. 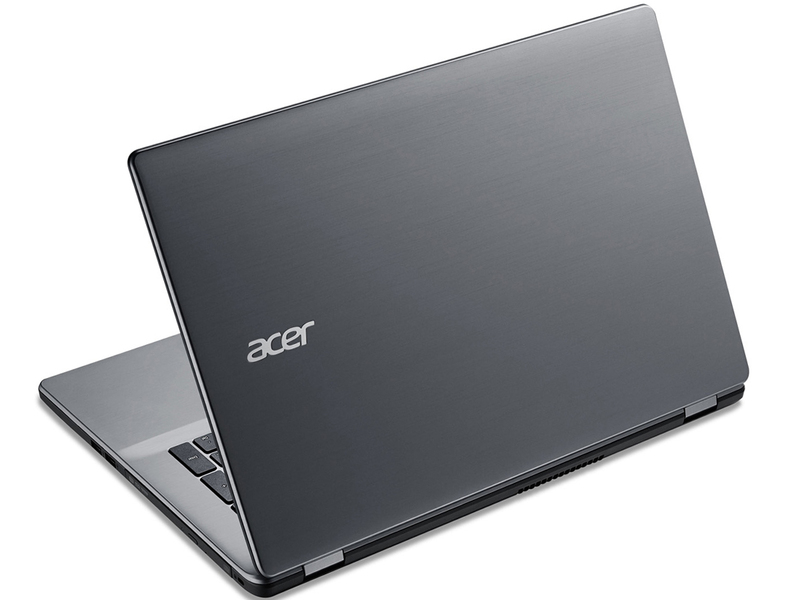 With the Aspire, Acer offers a 17.3-inch all-rounder equipped with the latest Broadwell Core i7 processors. Furthermore, it features a GeForce graphics card, two storage devices (SSD and HDD) and a bright Full HD display. 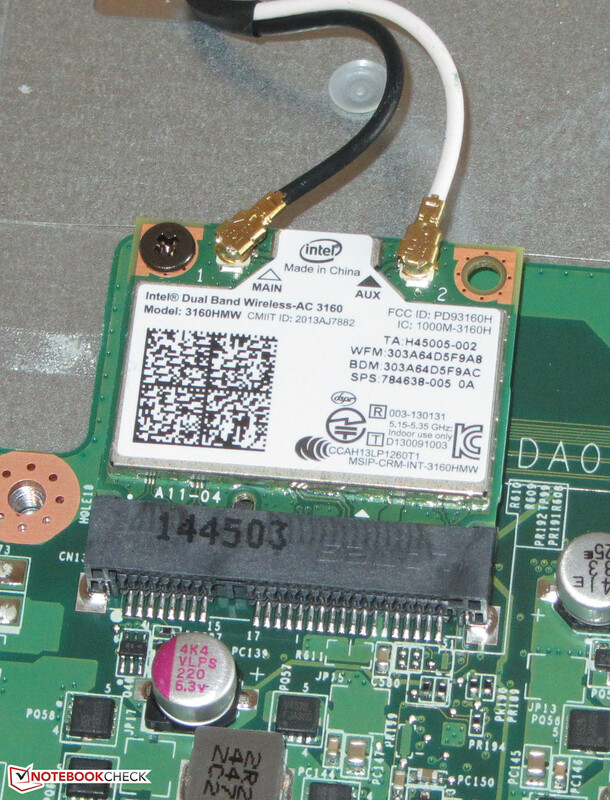 Intel's new Broadwell CPU models gradually replace their Haswell predecessors. The Acer Aspire E5-771G-71PT is a notebook with such a CPU. The series is not new. 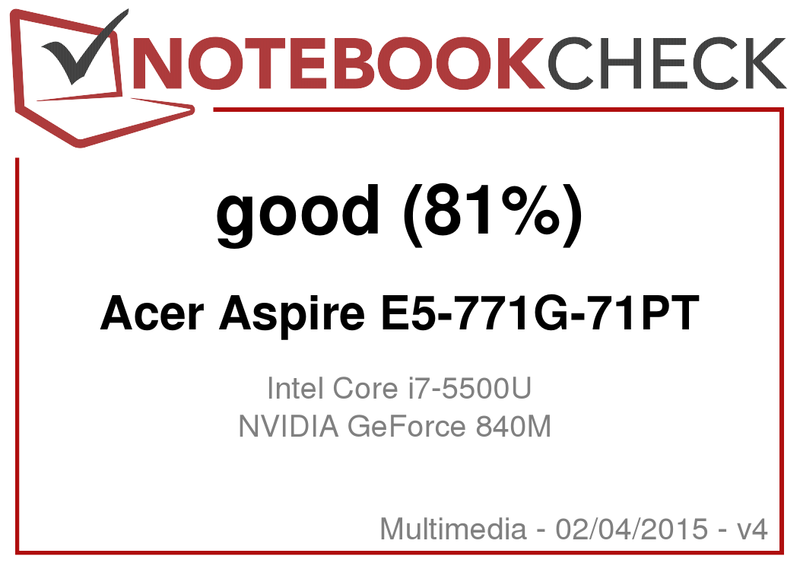 We already reviewed the Aspire E5-771G-553Q with Haswell hardware several months ago and it could only achieve a "good" rating (80%). 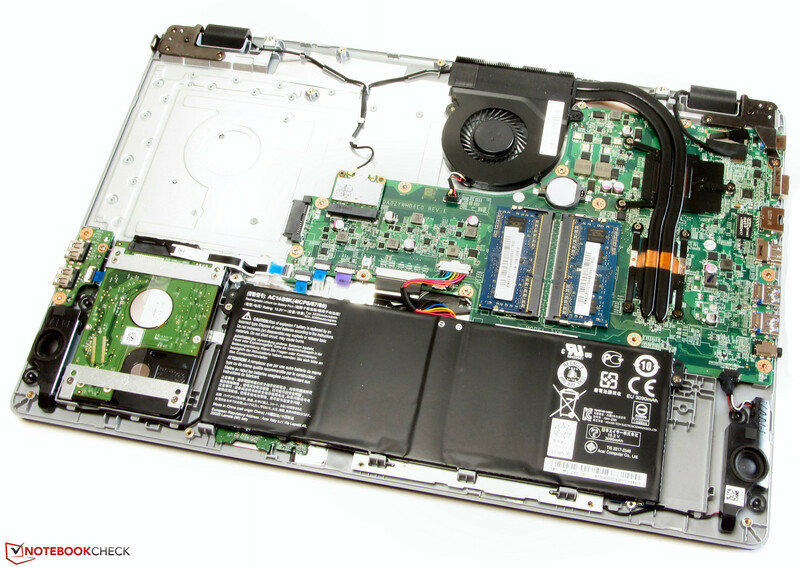 Our review will reveal whether the Broadwell model performs better. Currently, the Aspire is available for about 900 Euros (~$1025). Its competitors can be found in the same price range and include the Toshiba Satellite L70-B-130 and the Lenovo Y70. Since the two Aspire models reviewed by us use the same design, we will not cover case, connectivity, input devices, and speakers here. 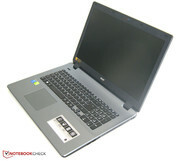 Information about these is available in the Aspire E5-771G-553Q review. 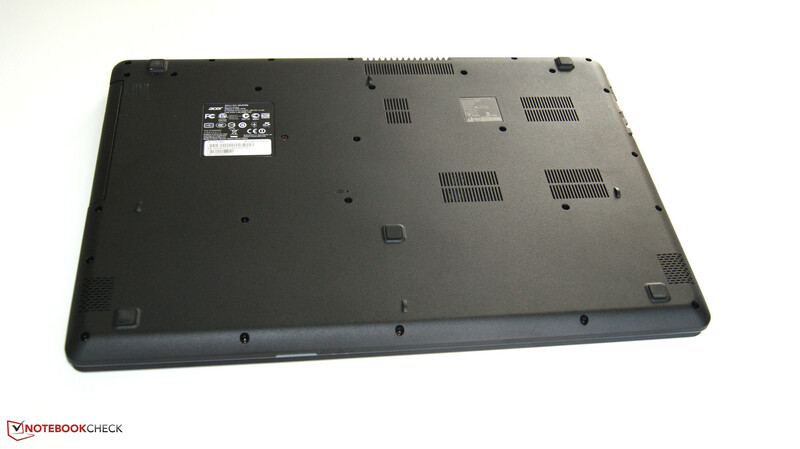 The Aspire E5-771G-71PT and the Aspire E5-771G-553Q have the same display. The measurements we recorded were a little different for the two panels, but this is normal. Two structurally identical displays never register 100% identical results. 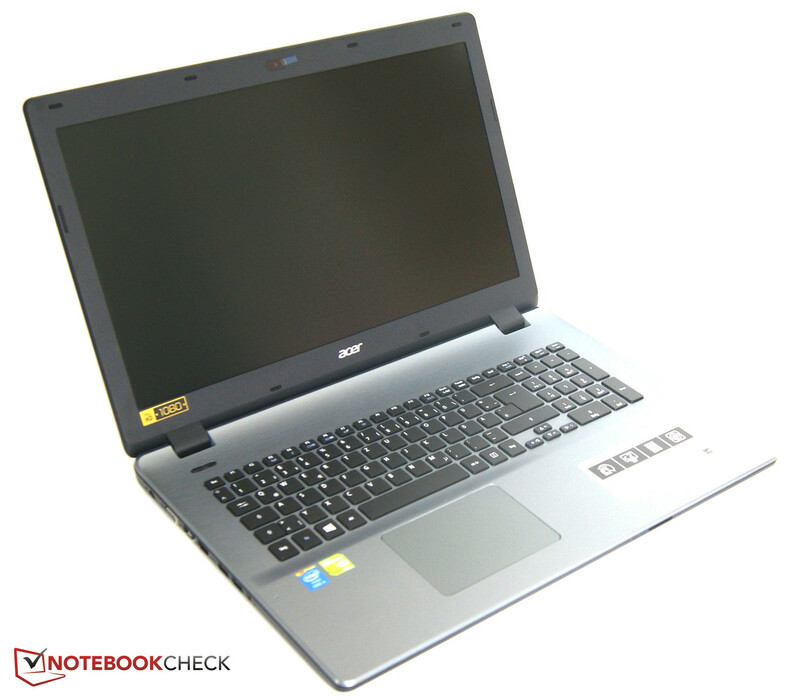 With the Aspire E5-771G-71PT, Acer offers a 17.3-inch all-rounder with good components. The computer brings more than sufficient performance for everyday tasks and can also run computer games smoothly. Our test model is priced at about 900 Euros (~$1025). In addition, Acer offers many other variants with different components. The Aspire uses a Core i7-5500U dual-core processor (Broadwell) with a base clock of 2.4 GHz. The clock rate can be increased to 2.9 GHz (two cores) or 3 GHz (one core) by the Turbo technology, which is used extensively: During the Cinebench benchmarks the CPU clocks at 2.8 to 2.9 GHz (multi-thread) and 2.9 to 3 GHz (single-thread), respectively, in mains operation as well as battery mode. The CPU is the successor of the Core i5-4500U processor (Haswell). Both processors feature a maximum clock rate of 3 GHz. The Core i5-5500U's base clock rate is higher (2.4 GHz vs. 1.8 GHz) and the two cores permanently use a higher (2.9 GHz vs. 2.7 GHz) clock. Thanks to higher clock rates and improvements in the Broadwell architecture, the Core i5-5500U performs about 5 to 15% better, which is proved by the benchmarks we ran. However, the ULV Broadwell Core i7 processor cannot keep up with a standard-volt mobile CPU like the Core i7-4710HQ (Haswell) in the Toshiba Satellite L70-B-130. In particular, multi-thread applications profit from the Core i7-4710HQ's four cores and its higher clock rates. 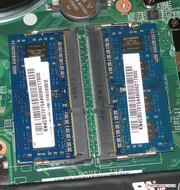 The powerful processor and the fast Solid State Drive ensure a fast and smoothly running system. Windows boots very quickly and we did not face problems. The results of the PCMark benchmarks are also very good. Because of its SSD, the Aspire performs much better than more powerful notebooks like the Lenovo Y70 in the PCMark 7 benchmark, since an SSD has a great impact here. 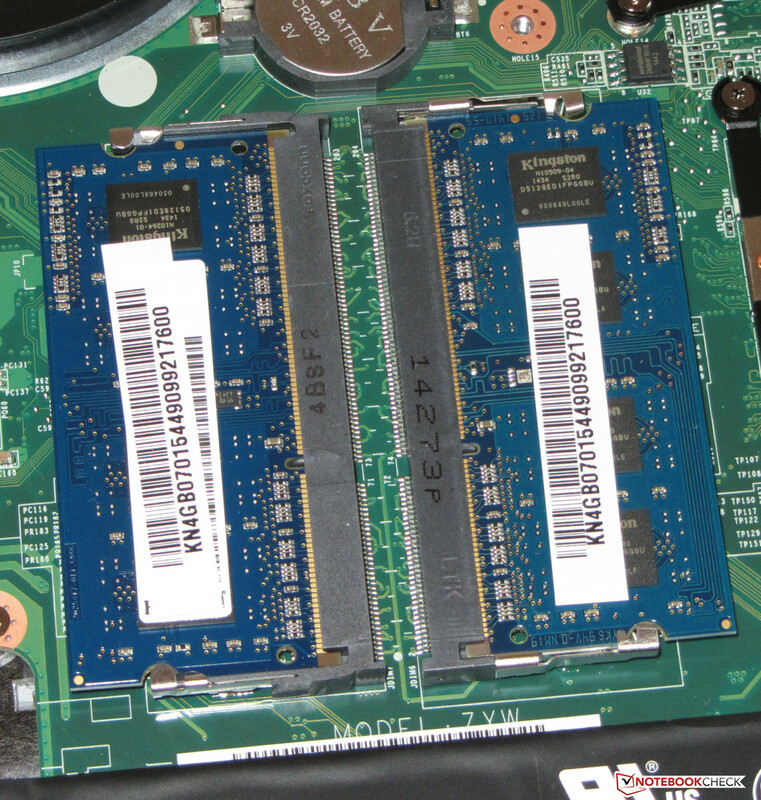 In the PCMark 8 benchmark, the impact of an SSD is much smaller. Our comparison table shows that the PCMark 8 results of the Aspire are not far worse than more powerful notebooks' results, like the Lenovo Y70's. 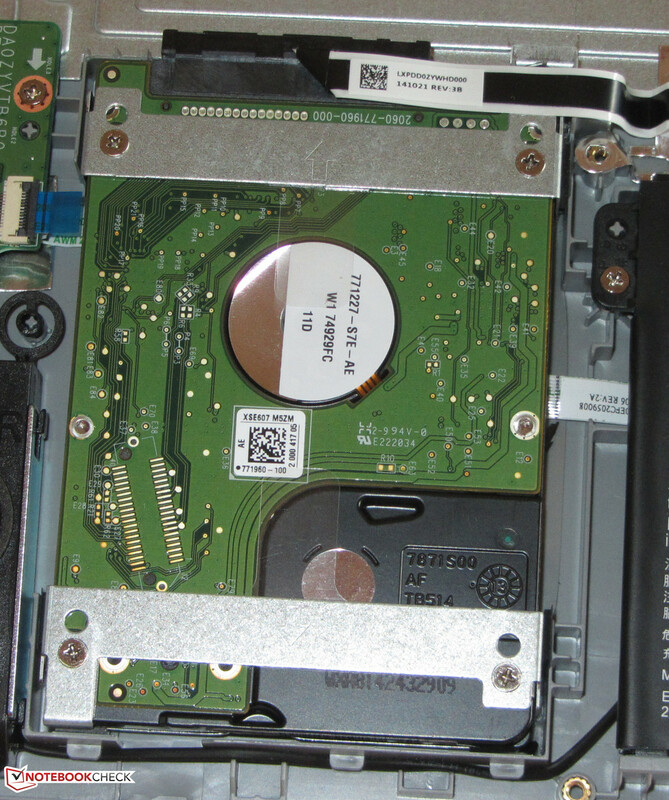 The more powerful and significantly more power-hungry processor of the Lenovo computer hardly brings advantages over the ULV processor of the Aspire in everyday tasks. Only CPU-intensive applications will benefit from it. 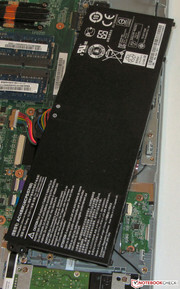 The system drive is a Solid State Drive from Kingston. The model features an M.2 format and a capacity of 128 GB. About 90 GB is available to the user. The read rates of the SSD are good, but the write rates fall significantly behind modern SSDs'. Faster models are available. Apart from the SSD, the notebook also comes with a conventional 2.5-inch hard drive with a capacity of 1 TB and a revolution speed of 5400 rpm. The Aspire features switchable graphics consisting of Intel's HD Graphics 5500 graphics core and Nvidia's GeForce 840M graphics card. The GeForce chip is used in demanding applications like computer games. The graphics cards are automatically switched. If required, the user can select them manually. The GeForce is a mid-range graphics card, supports DirectX 11 and it uses a base clock of 1029 MHz. Thanks to Turbo, the clock rate can be increased to 1124 MHz. The results of the 3DMark benchmarks are on par with comparable computers like the Asus X750LN. The hardware of the Aspire can run many current games in HD resolution (1366x768 pixels) with medium to partly high quality settings. The native Full HD resolution can only be used in a few games. Older games and games with low demands on hardware should run in maximum resolution. If significantly more gaming performance is needed, you have to select another computer, for example, the Lenovo Y70 with GeForce GTX 860M. Entry-level models of the latter are available from 900 to 1000 Euros (~$1025 to ~$1139). While idle, the Aspire sometimes works silently, but usually the fan runs at low speed and/or the noise of the 2.5-inch hard drive is audible. Under load, the fan gets louder. We measured a noise level of 43.7 dB during our stress test. 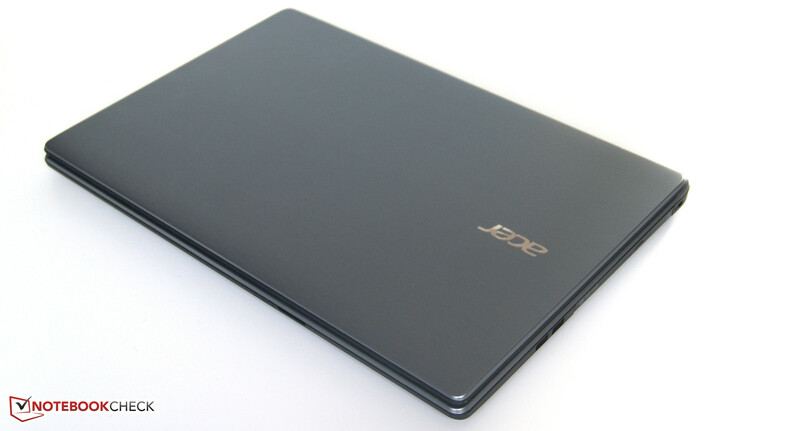 Overall, the Aspire is quieter than the Toshiba Satellite L70-B-130 and the Lenovo Y70 when load is applied. The latter two are equipped with standard-volt CPUs (no ULV) and feature more powerful graphics cards. The case of the Aspire never gets too hot. Even during the stress test, the temperatures remain significantly lower than 40 °C in all parts of the case. Despite low temperatures, the Aspire does not throttle. During the stress test (Prime95 and Furmark run simultaneously for at least one hour) the CPU clock rate is about 2.5 to 2.6 GHz. 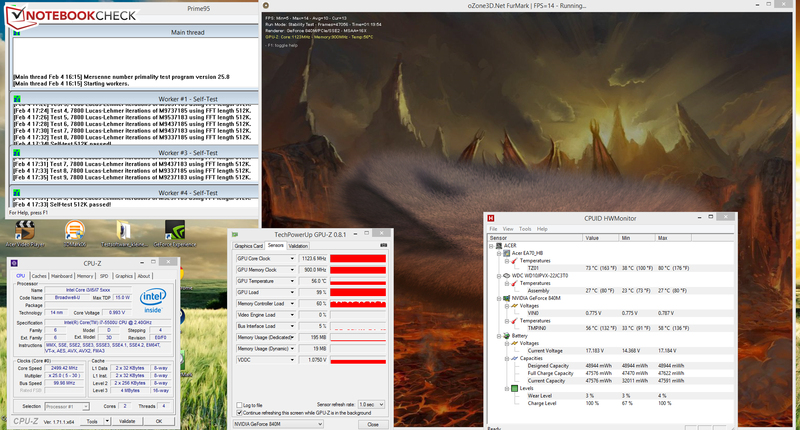 The graphics core works at full speed (1124 MHz). On battery, it is pretty much the same, but the GPU clock rate abruptly falls to 281 MHz after about 10 minutes once again. The cases of the Toshiba Satellite L70-B-130 and the Lenovo Y70 get significantly warmer. (+) The maximum temperature on the upper side is 35.5 °C / 96 F, compared to the average of 36.5 °C / 98 F, ranging from 21.1 to 71 °C for the class Multimedia. (+) In idle usage, the average temperature for the upper side is 22.9 °C / 73 F, compared to the device average of 30.9 °C / 88 F.
(+) The average temperature of the palmrest area of similar devices was 29.1 °C / 84.4 F (+2.8 °C / 5.1 F). 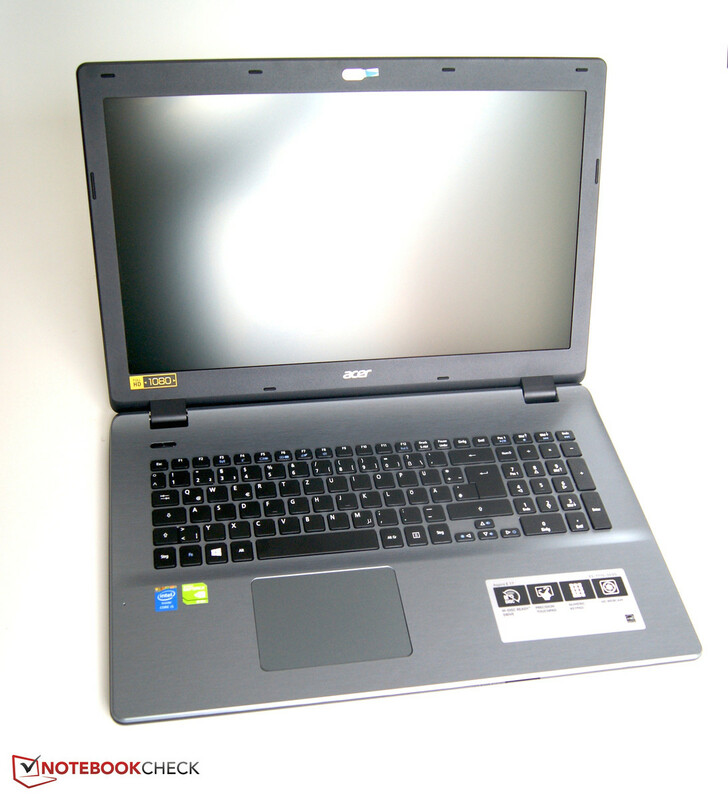 While idle, the Aspire's power draw is up to 11.5 Watt, which is good for a 17.3-inch notebook. Thanks to the ULV CPU, the energy demand of 55.1 Watt is moderate during the stress test, too. The Toshiba Satellite L70-B-130 (up to 86 Watt) and the Lenovo Y70 require significantly more energy when load is applied, since they come with more powerful graphics cards and more powerful and more power-hungry mobile processors (no ULV). While idle, the battery of the Aspire lasts for 7:35 h and ranks in between the Toshiba Satellite L70-B-130 (7:48 h) and the Lenovo Y70 (7:18 h). Idle mode is simulated with Battery Eater's Reader's test using the screen's minimum brightness, enabled energy-saving profile, and disabled wireless modules. The Aspire shut down after 1:24 h of load. The Satellite (0:46 h) performs worse, while the Y70 runs for a few more minutes. 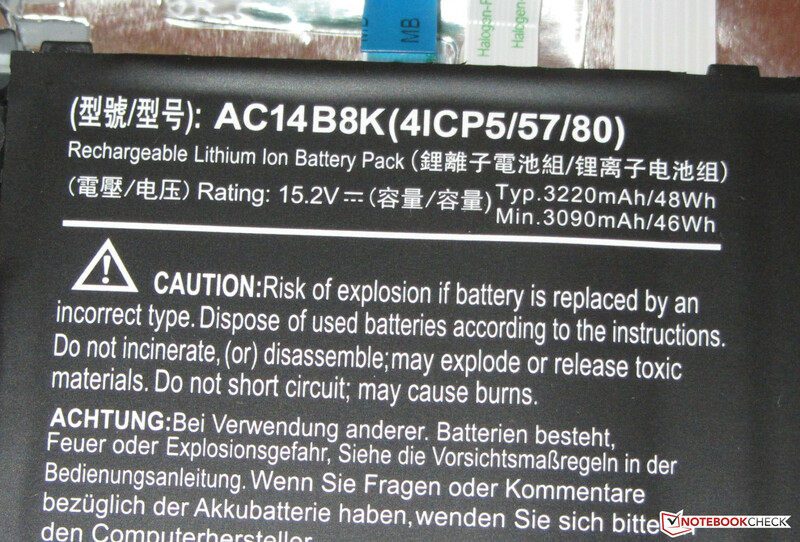 The load runtime is ascertained using Battery Eater's Classic test. The screen's brightness is set to maximum, the high-performance profile is enabled, and the radio modules are on. The Acer stopped our realistic WLAN test after 4:43 h. The battery runtimes of the Satellite (3:17 h) and the Y70 (3:38 h) are shorter. In this test, websites are automatically opened every 40 seconds, the energy-saving profile is enabled, and the screen's brightness is set to roughly 150 cd/m². We check the video playback time by running the short movie Big Buck Bunny (H.264 encoding, 1920x1080 pixels) in a loop. The wireless modules are disabled, and the screen's brightness is set to approximately 150 cd/m². The Aspire lasted 5:01 h and the Satellite (2:51 h) performed far worse. We did not perform this test on the Lenovo Y70. 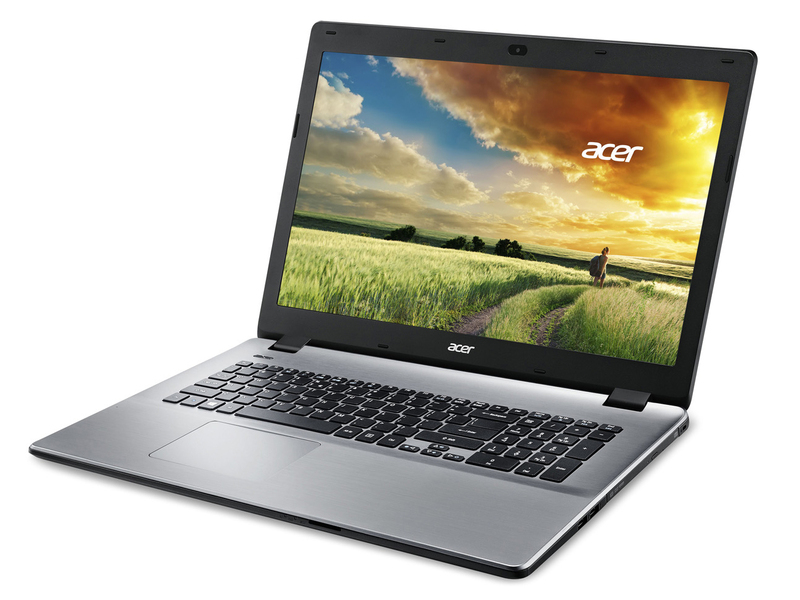 With the Acer Aspire E5-771G-71PT, you will get an all-rounder with a size of 17.3-inches. The used Core i7 processor is more than sufficient for everyday tasks. Together with the GeForce graphics core, the Aspire can also run computer games. 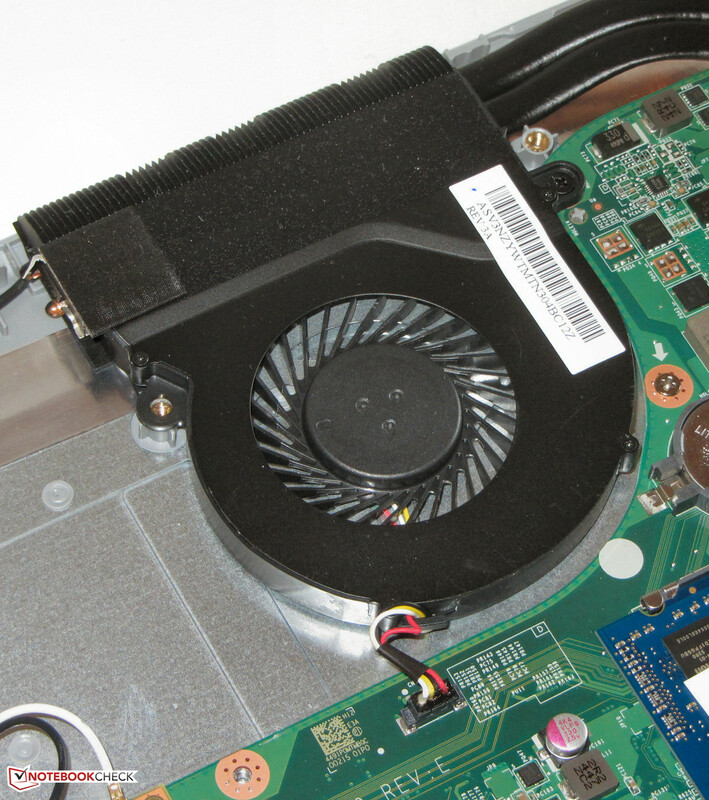 Thanks to two storage devices (SSD and HDD), the computer works very fast and also offers a lot of capacity. The notebook gets hardly warmer and produces hardly any noise in everyday scenarios. We also liked the display: It is bright and contrast-rich. Unfortunately, Acer used a TN panel instead of an IPS panel. However, the TN model belongs to the better ones of its kind. Its viewing angles are significantly wider than usual for its type. Unfortunately, the computer lacks a maintenance hatch. You have to remove the underside of the base unit to get to the hardware. Currently, the Aspire is available for about 900 Euros (~$1025), but it is possible to save money. If you can accept a few compromises in hardware and software, the E5-771G-531K model (Core i5-4210U, GeForce 840M, SSHD, matte Full HD display, no Windows OS) is already available from 580 Euros (~$661). ...you can remove the underside of the base unit. 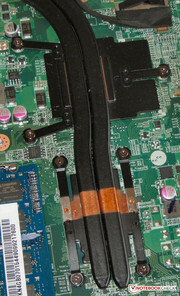 The Aspire features two RAM slots. 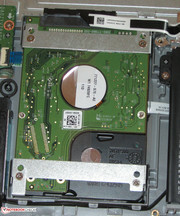 An SSD in M.2 format is the system drive. You have to remove the battery in order to reach it. Processor and graphics core are soldered. 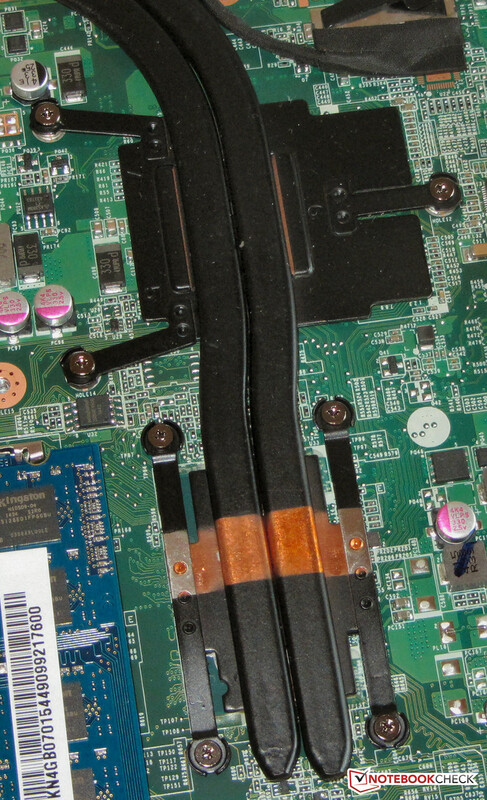 It is possible to replace the BIOS battery. 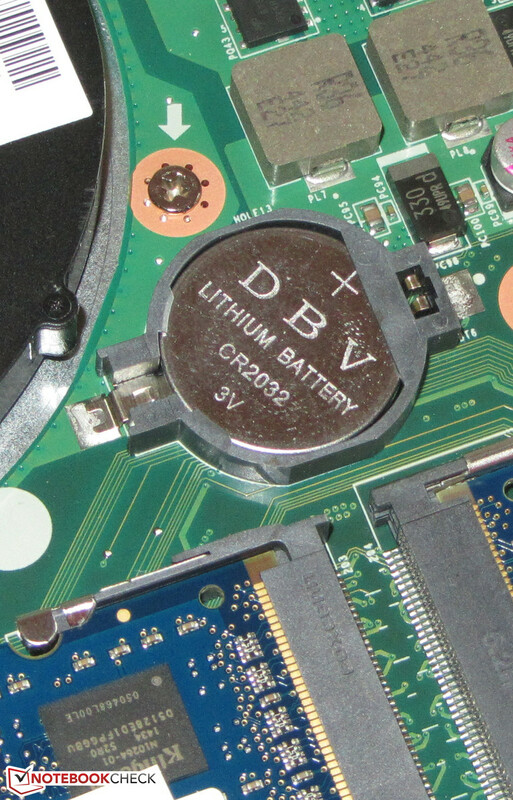 The battery can be removed. It is fixed by two screws. The battery capacity is 48 Wh. Acer offers a well-made bundle. A maintenance hatch and an IPS display. Toshiba Satellite L70-B-130, Lenovo Y70, HP Envy 17-k104ng, Asus N751JK-T4144H, Acer TravelMate P276-MG-56FU, Wortmann Terra Mobile 1774P, Asus F751LDV-TY178H.